Perfect day to click large gathering in organized manner, everybody stands, sits and bow at right time and pray to almighty. 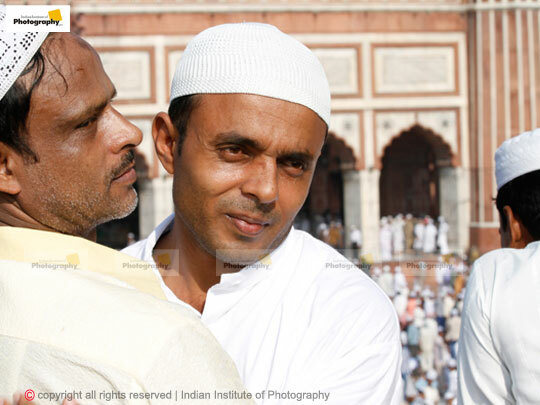 This picture is shot at Jama Masjid, Delhi. Used 16 mm wide by IIP team. 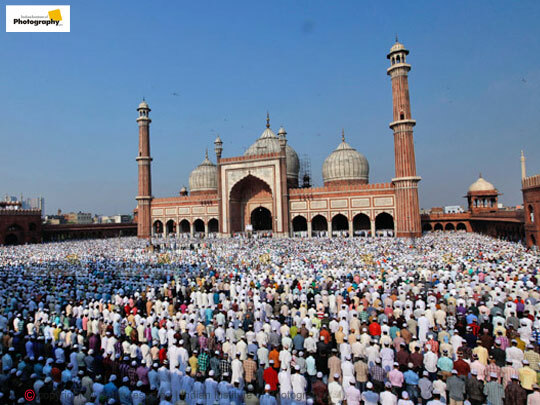 Eid-ul-fitr, most commonly referred to as Eid, is one of the two most popular religious occasions according to Islamic calendar. Eid has various moments of celebration. It's a celebration of devotion. The massive congregations on the occasion are just wonderful. For a photographer, the ceremonies of Eid prayers and the moments when people hug and wish everyone are the most special one. 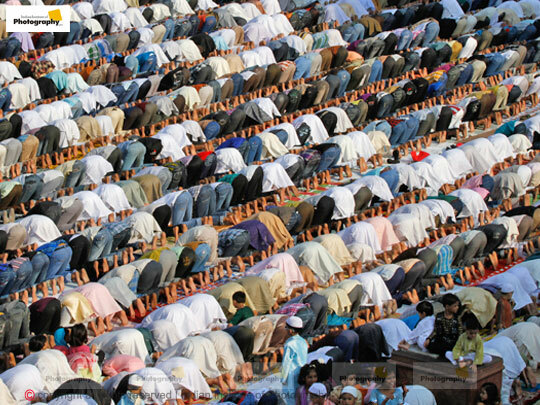 These mosque gatherings are actually opportunities for a photographer. 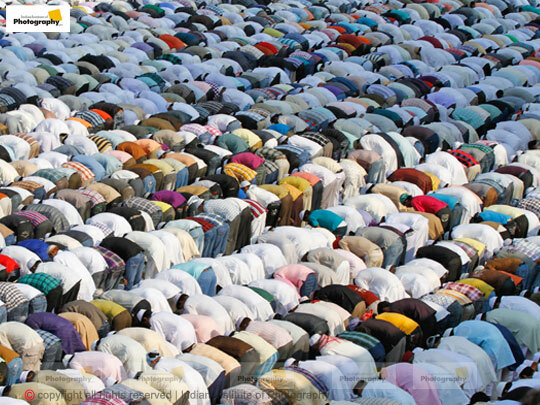 On Eid, people gather together on one platform forgetting all their socioeconomic differences. Eid is celebrated both in cultural and religious manners. Traditionally a dessert is made for all the guests who will visit the household to wish Eid. Women get dressed and adorn themselves with Henna. Men forsake their Western attire and dress in traditional clothes before going to mosque. There is another cultural tradition attached to the event, where elders give money or gifts to children. This is called "Eidi". 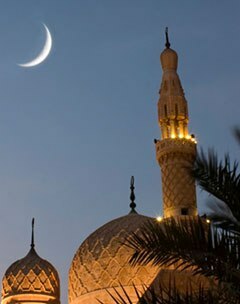 Eid gains even more significance, because in the month of Ramzan, God revealed His message in the form of Holy book, i,e, Quran to his messenger Prophet Muhammad P.B.U.H, and finally he declared that Eid would be celebrated after the end of every Ramzan to mark the significance of this holy month. So all you budding photographers, gather all your skills and techniques and set out on a photography mission on Eid.